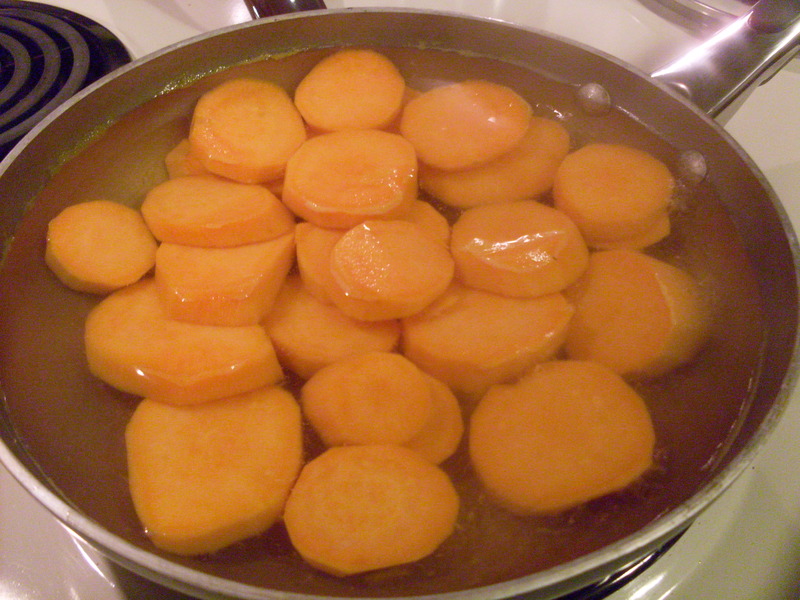 Sweet potatoes are no longer a holiday dish and are popular anytime! This sweet potato dish may be made in minutes as the meat is cooking. Peel and slice the potatoes into 1/3 to 1/2 inch slices. Place them in a large skillet and cover with boiling water. Cover and cook for 10 minutes or until the potatoes are tender. Drain. Sauce: In a small bowl, combine the orange zest, orange juice, brown sugar, butter, pumpkin pie spice, and salt. Pour over the drained potatoes. Bring to a boil and cook, uncovered, for 5 minutes or until the potatoes are glazed, spooning the sauce over them occasionally. Makes 3 servings. In place of pumpkin pie spice, I used 1/4 teaspoon (each) of all spice, cloves, and nutmeg. After serving this new dish to my husband, he had some recommendations. 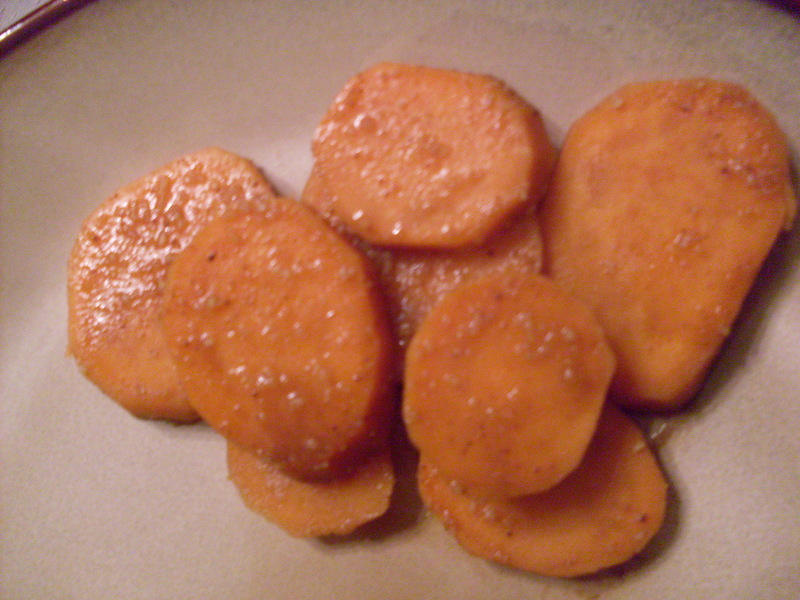 First, cut the sweet potatoes into quarters, not discs. The orange zest is a little odd – texture and taste. Increase the brown sugar and butter. Instead of all spice and cloves, he recommended using just nutmeg and cinnamon.